Dr. Mousa Abu Marzouk, a political bureau member of Hamas, arrived in Gaza Strip on Tuesday morning in the first such visit after end of the Israeli war on the enclave. Quds Press quoted an official at the crossings terminal in Rafah as saying that Abu Marzouk, who is also in charge of the reconciliation file in Hamas, arrived on a previously undeclared visit. This is the first visit for the senior Hamas leader, who is residing in Cairo, to Gaza after the war on the Strip ended almost two months ago. The Spanish Parliament is expected to discuss a proposal submitted by the Socialist Party to vote on recognizing Palestinian statehood within June 1967 borders. Anadolu News Agency quoted a member of the Spanish Parliament, demanded not to be named, as saying that the parliament will discuss the proposal on Monday and set a date to hold a vote on the recognition of a Palestinian state. "The time has come for the recognition of Palestine after three years of being recognized by the UN as a non-member observer state," spokeswoman for Spain's Socialist Party Trinidad Jiménez said Thursday. 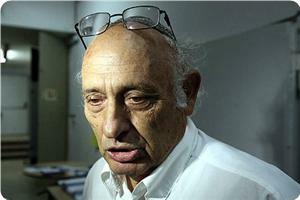 The left-wing bloc in Spanish Parliament declared its total support for the proposal, stressing the importance of the recognition of Palestine to achieve peace in the Middle East. The vote came following the British parliament voted overwhelmingly in favor of recognizing a Palestinian state on Monday. 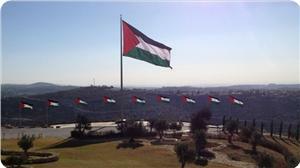 Sweden, for its part, had declared its recognition of Palestine, making it the first European Union country to do so. The Irish Parliament Thursday also discussed recognizing Palestine as an official state following the Swedish diplomatic recognition, according to Wafa news agency. It said that a number of questions were directed to Irish Foreign Minister Eamon Gilmore regarding the country’s plans to recognize Palestine in a similar action taken by the Swedish parliament. Gilmore affirmed during the session Ireland’s support for the Palestinian state, which should be fulfilled soon. He confirmed that the Irish policies are designed to support peace agreements through negotiations, which proved fundamental to achieve such goal. Gilmore then explained that political talks regarding a peaceful settlement must be carried out soon, a view expressed before during the Cairo Conference for reconstructing Gaza. He said that Ireland’s stance would continue to be evaluated with the European Union partners. 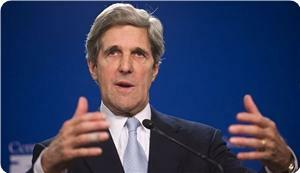 U.S. Secretary of State John Kerry is seeking to advance a new Israeli-Palestinian peace initiative that would forestall the Palestinians’ application to the UN Security Council to demand an end to the occupation, Haaretz said Wednesday. To this end, senior Israeli officials said, Kerry has asked Prime Minister Benjamin Netanyahu whether he would be willing to resume negotiations on the basis of the 1967 borderlines. Though it has already told the Palestinians it will veto the resolution, it would rather not have to do so, especially at a time when it is recruiting Arabs to join its military coalition against Islamic State jihadists in Iraq and Syria, the same source added. “I don't think Palestinians and Israelis are ready for a final divorce,” Kerry said as he urged the Israeli PM to hold talks on '67 lines to block Palestinian UN bid. A senior Israeli official said Netanyahu didn't reject Kerry's ideas out of hand, but answered only in general terms, leaving the impression that he wasn't enthusiastic about them. 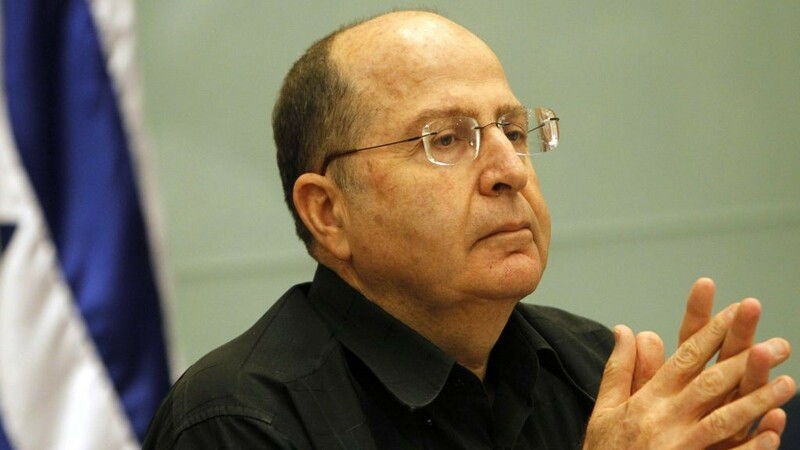 Israeli war minister Moshe Ya'alon renewed in an interview with Israel Hayom paper on Wednesday his total rejection to the establishment of a Palestinian state, calling instead for Palestinian self-rule on a demilitarized territory. “We need to free ourselves of the notion that everything boils down to only one option called a Palestinian State. As far as I am concerned let them call it the Palestinian Empire. I don't care. It is an autonomy on a demilitarized territory”, according to his statements. “The other side [Palestinians] doesn't think that 1967 borders will be the end of the story, and they never said that it would be the end of the story. To them it is merely a stage; it is not about establishing a state, but rather destroying the Jewish state and negating its existence”, he claimed, saying that PA President Mahmoud Abbas is not a partner for peace; he is a partner in managing the conflict. “Abbas has never said that he recognizes us as the nation state of the Jewish people”, he added. 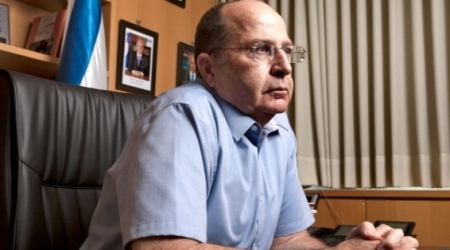 On the other hand, Ya’alon said that “The issuance of construction permits in the West Bank has been cut down due to sensitivity concerns,” in reference to US and European pressures. Ya’alon’s statements came in light of European growing solidarity with the Palestinian cause most recently was the British parliament’s symbolic recognition of Palestine. French Foreign Minister Laurent Fabius said Tuesday that any recognition of Palestine as a state must be "helpful to peace" as part of a two-state solution, and not just symbolic. A day after British lawmakers voted overwhelmingly to recognize Palestine as a state in a highly symbolic and non-binding vote, Fabius said France would do so only "when the time is right." "From the moment that we say there must be two states (Israel and Palestine), there will be a need for recognition of the Palestinian state, that goes without saying," Fabius told the lower house National Assembly. "The only question is what are the procedures and how to be most effective. 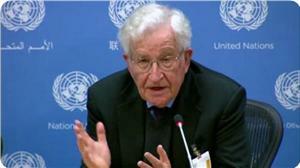 What we want is not a symbolic issue but to be helpful to peace." Fabius suggested that the "right time" he was referring to could come when all attempts at negotiation had been exhausted. The debate follows the collapse of peace talks between Israel and Palestine and this year's conflict in Gaza in which more than 2,000 Palestinians and dozens of Israelis, mostly soldiers, were killed. 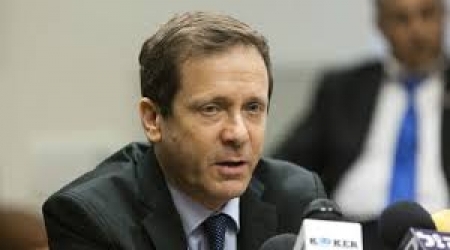 Israel Labor Party Chairman and Opposition leader Isaac Herzog considered the UK parliament's decision to recognize the Palestinian state a resounding failure for Israel. He blamed on Tuesday Israel prime minister Benjamin Netanyahu , saying that " it is another failure in the path set by Netanyahu and Avigdor Liberman the Israeli foreign minister . "A cold wind is blowing toward Israel from every corner of the world, yet the prime minister and foreign minister refuse to face the facts, and are bringing a harsh diplomatic storm upon us,” he said. He noted that if he were the prime minister, he would embrace the initiative of Egyptian President Fattah Abdel Sissi with both hands. 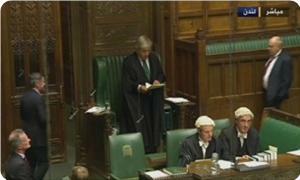 The British parliament voted Monday in favor of the non-binding motion in a majority vote of 274-12. The British parliament voted Monday in favor of a non-binding motion to recognize the state of Palestine, in a majority vote of 274-12, adding to the momentum launched by Sweden to recognize Palestinian statehood. The vote by Britain’s House of Commons 274-12 in favor of the symbolic motion stands as initial stage of UK recognition of a Palestinian state. The Conservative Party and the government's ministers abstained from participating in the debate. Government ministers abstained on the vote, on a motion put forward by Labor MP Grahame Morris. "If the vote is a success it would put a tremendous amount of pressure on the current government and the next government, which is likely to be a Labor government, to recognize Palestine as a state," Morris said. "The UK recognizing Palestine could give decisive momentum to more EU states following suit," he said. "Recognition now would be a clear and legitimate message that Britain and others recognize Palestinian rights and that the illegal settlement enterprise has no validity," he added. Britain reserved the right to recognize Palestine when it is "appropriate for the peace process". “Israel is losing the battle for public opinion in Britain,” a statement published by the Huffington Post read. Gone is the rose-tinted vision of Israel as an island of democracy in a sea of irrational and violent Arabs. Gone is the belief that Israel wants to negotiate, if only it could find a partner to talk to. Gone, too, is the notion that there is symmetry in this conflict, which this is a battle between equal forces, the statement proceeded. Monday's vote in parliament to recognize Palestine as a state does not therefore come out of the blue. Neither did the largest ever demonstration seen in Britain on this conflict during the recent Gaza war, nor did the resignation of the Foreign Office minister Lady Warsi, the highest placed British politician yet to resign over the UK's "morally indefensible" stance over Gaza, the same source added. Warsi was no George Galloway, a figure on the political fringe. She remains a mainstream politician who was courted by the two other political parties after her resignation, Huffington Post maintained, adding: “Therefore her plea in the Observer on Sunday to recognize the state of Palestine carries political as well as moral force. 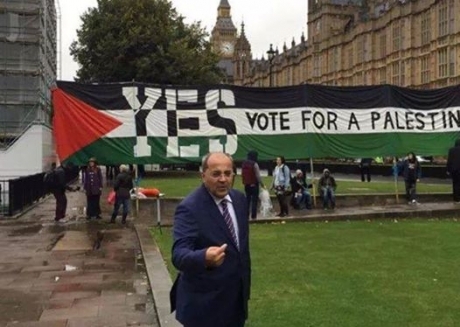 Palestinian Foreign Minister Riyad al-Maliki has lauded the Monday vote and thanked members of the British House of Commons, describing the gesture – which is non-binding on the U.K. government – as a "rectification of the historical injustice which has deemed Palestinians a people without a land." 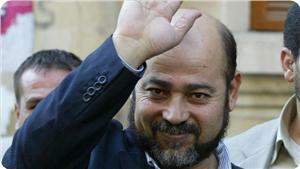 The top Palestinian diplomat went on to urge the British government to recognize the State of Palestine. 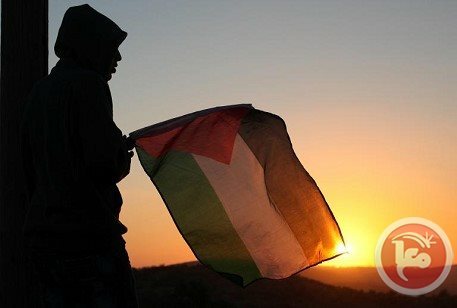 "Palestine expects the British government to recognize the Palestinian State in line with the decision by the British people's representatives," he added. Meanwhile, Yitzhak Herzog, head of Israel’s center-left Labor party, said the vote represented “another resounding failure by Netanyahu”. “Israel keeps getting slammed with a continued spate of criticism from every corner of the earth and fails to realize that a huge political storm is approaching,” Herzog said, in remarks quoted by Israel’s Mako.co.il online news service. 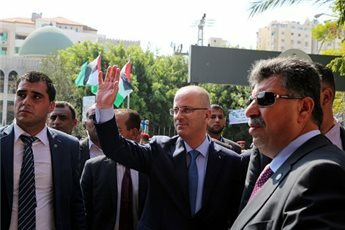 The Palestinian Unity Cabinet arrived in Gaza, Thursday, led by Palestinian prime minister Rami Hamdallah and a number of other Palestinian officials, to hold its first meeting since its formation last June. According to the Palestinian News Network (PNN), the meeting was set to be held in president Mahmoud Abbas’ residence, between Fateh and Hamas officials. Salim Saqqa, Minister of Justice, said that Palestinian Authority members and their delegation arrived in Gaza through Beit Hanoun checkpoint after receiving their permits, where they were officially welcomed by Gaza officials. 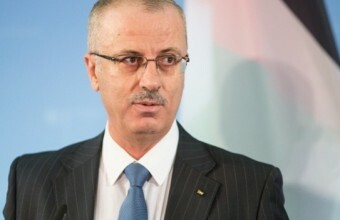 A press conference was held upon the cabinet's arrival into Gaza, during which PM Hamdallah was quoted as saying, "The years of strife between us and the rift between the Palestinian factions are behind us, and the government is embarking on the mission to restore life in the Strip, to their right track." 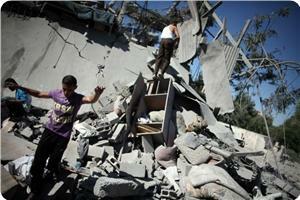 The meeting aimed to discuss rebuilding Gaza, and to call upon international assistance of $4 million. PNN further reports that Hamdallah and his cabinet ministers toured several areas in the Strip, mainly those areas heavily damaged after the Israeli assault, including Al-Shuja'eyya neighborhood. Hamdallah's schedule included a meeting with the deputy leader of Hamas' political bureau, Ismail Haniyeh, in his home at the A-Shata refugee camp, and to precede a general discussion between government officials of the situation in the Strip. Following this was scheduled a meeting between the ministers and Palestinian businessmen expected to take part in reconstruction projects, as well as long-term investments. Hamdallah will make additional tours across the Gaza Strip, on Friday, mainly in its southern areas, and will then leave to Cairo through the Rafah checkpoint. The Palestinian Authority (PA), Israel and the UN have reached an agreement on certain mechanisms for initiating reconstruction efforts and solving the problem of salaries in the besieged Gaza Strip, an informed Palestinian source stated on Wednesday. The source told Anadolu news agency on condition of anonymity that the agreement determines how building materials could be sent to Gaza and used for reconstruction under UN supervision. The source affirmed that the coming days would see a large influx of construction materials into Gaza, noting that a donor conference on Gaza reconstruction would be held next Sunday. The parties also agreed on starting to pay the salaries of civil servants during the coming days and designating the UN to be responsible for transferring the needed funds to Gaza through the official banks there. The salaries of Gaza civil servants, about 30,000 individuals, will be financed initially by Qatar for three months to come, and then a permanent fund, financed by donor countries, will be established for them, according to the informed source. Deputy head of Hamas's political bureau Ismail Haneyya on Tuesday met with envoy of the Palestinian Authority (PA) Kamal Al-Sharafi and ministers from the unity government in Gaza. Haneyya discussed with Sharafi issues related to the national reconciliation and welcomed the meeting the government intends to hold next Thursday in Gaza. 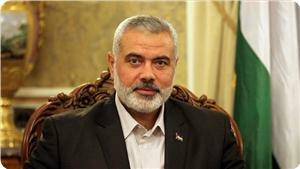 The Hamas official stressed the need for contributing to the success of the conference on Gaza reconstruction to be held soon in Cairo.